Newcomer Family Obituaries - Frances E. Williams 1941 - 2019 - Newcomer Cremations, Funerals & Receptions. Frances E. Williams, went home to be with her Lord and Savior on Wednesday, January 30, 2019. She was born on April 28, 1941 to James Bethany, Sr. and Bettie Franklin in Lake Providence, Louisiana. For many years Frances worked for Toledo Building Services in their maintenance department. When she wasn't working she poured her energy into caring for her family and tending to her many flowers she planted every year. She thoroughly enjoyed garage sales and had an eye for the treasured items! Frances accepted Christ at the age of 33, under the Leadership of Rev. Flagg, she later became a member of Indiana Avenue M.B.C., under the Leadership of Dr. John E. Roberts. She enjoyed serving the Lord. Left to cherish her memories are two sons, Derrick Williams and Steven Williams; five grandchildren; one great-grandchild; siblings, Roby Franklin, Dorothy Brooks, Vera Davis, Melvin (Martha) Bethany, Barbara Mitchell, Sharon (Wendel) Thompson, Brenda Bethany and LaVern Ferguson; a host of nieces, nephews, cousins and dear friends. In addition to her parents she was preceded in death by her two sons, Darnell Williams and Darrell Williams; siblings, Roosevelt Jr. and Tommy Franklin; Ruby Sylvester, Delores Allen, Grace Woodson, Charles and James Jr. Bethany; Bernice Henderson. The family will receive guests on Thursday, February 7, 2019 at 10 a.m. until 11:00 a.m. at Newcomer Funeral Home - Northwest Chapel, 4150 W. Laskey Rd. (419-473-0300). 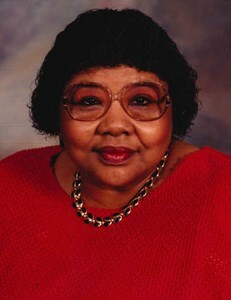 Her Home Going Service will begin at 11:00 a.m. in the funeral home, Overseer Audrey Ransey officiating. Interment will follow in Forest Cemetery. Frances' family would like to specially thank the nurses and staff at Hospice of Northwest Ohio for their diligent care and love they provided to Frances in her last days, your hard work does not go unnoticed. Funeral Arrangements have been entrusted to Newcomer Funeral Home - Northwest Chapel, Toledo, Ohio. Add your memories to the guest book of Frances Williams.